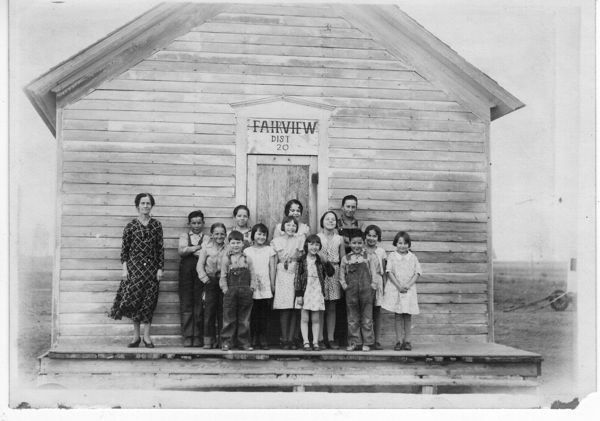 Fairview School was organized and the first sod school house was built there by pioneers of Irish Flats, located about 20 miles south and a short distance west of Meade. The next house was a frame building not very large but it was the heart of the community for school and community gatherings. One incident to be recalled by some was a school Christmas program. Miss Eva Davidson was the nicely dressed Santa whose clothing became ignited from candles on the Christmas tree. A man in the crowd threw his coat around her and the fire was soon extinguished. Lively literary programs were attended by everyone near and far and there were dialogues, speeches and musical numbers. 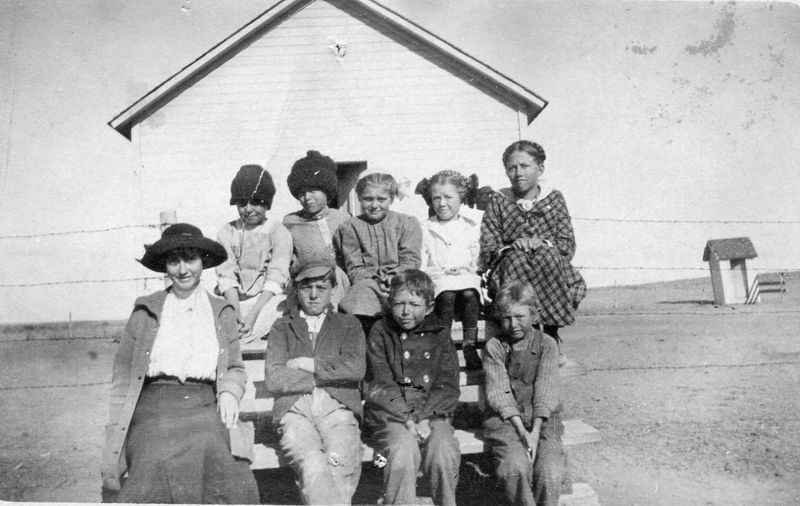 Once the teacher, Mrs. McCrellis, planned a Thanksgiving program and dinner. The women of the district gave the house a thorough cleaning. White tablecloths gleamed and tables were resplendent with large yellow paper mums made by the teacher and older girls. 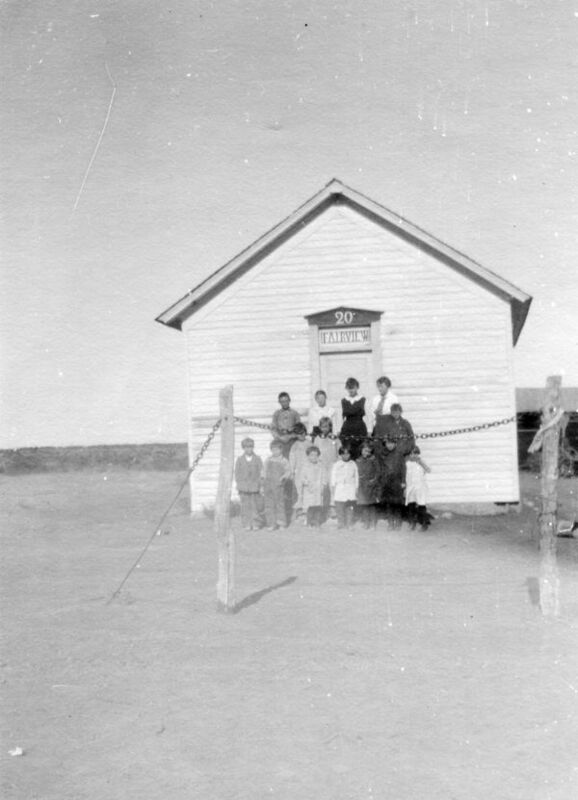 It was voted to move the school house about a mile south to become more centrally located for the convenience of all. 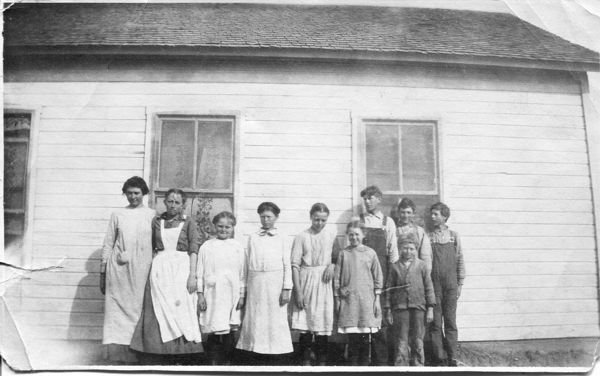 Sometime around 1911 a Sunday school was organized at the school house. A lady minister, Rev. Mendenhall, had charge. She moved away but later came and conducted funeral services for Miss Elsie Gamble, a former Fairview pupil for whom Elsie Chapel Church was to be named. Last and large Fairview was built in the early '30s. It was combined with District 53 (Pleasant Valley) to the east and then Fairview building was sold. The Pleasant Valley school building now stands 15 miles south and about one-half mile west of Meade and it too is closed. Pupils come to Meade by bus. District 76 organized in January 1946, and disorganized in 1965, the consolidated with District 20. 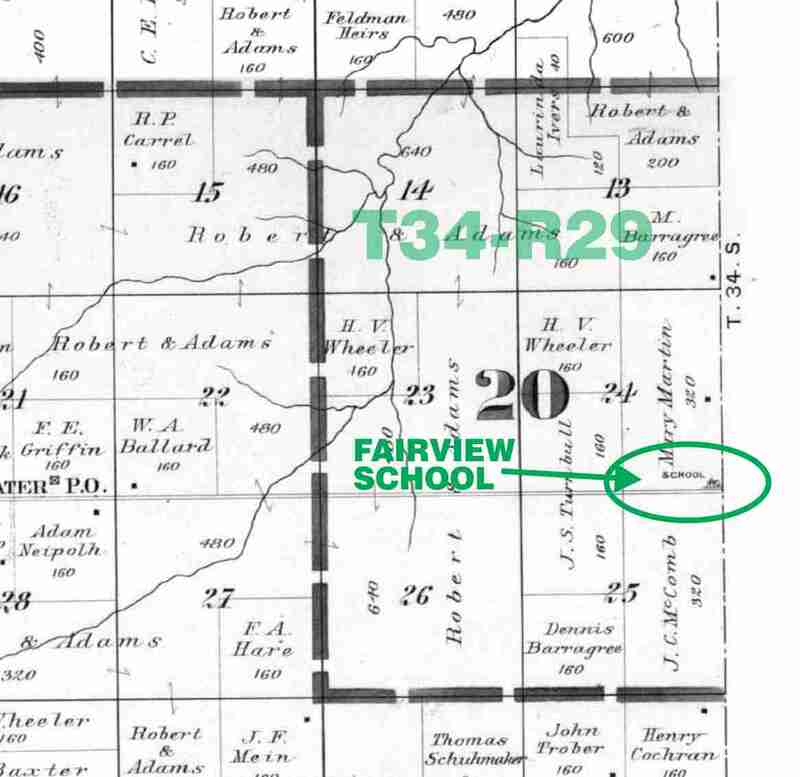 The building of Fairview School was moved to the Bud Rhodes farm at the south end of the blacktop on road 18, and became a barn. 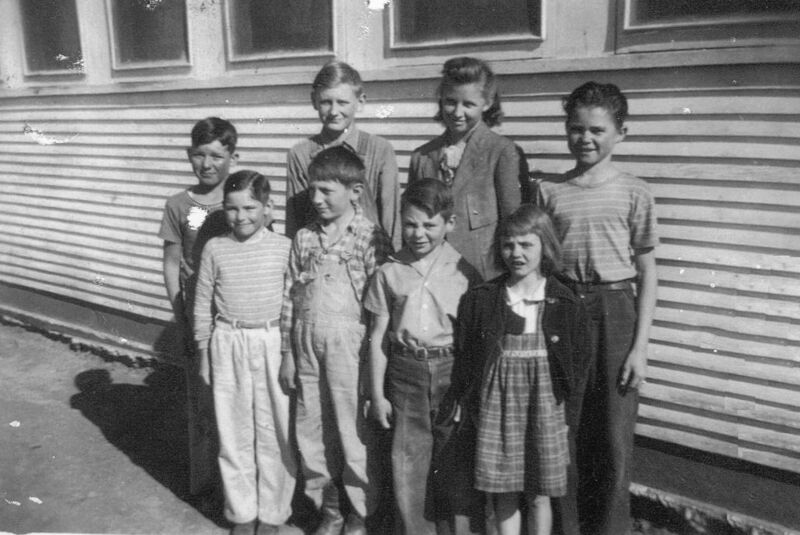 Some family names here mentioned were Fairview pupils: Busing, Barragree, Buck, Burnette, Byrns, Baker, Carrell, Carter, Cordes, Chapin, Cochran, Cope, Davidson, Dye, Easton, Feldman, Fetters, Ford, Gamble, Godschalk, Hale, Hall, Hesket, Hill, Hinsdale, Hollandsworth, Holloway, Kimber, Keltener, Hess, LeValley, Lowry, Marshall, Miller, Mathews, Mendenhall, Meierdierks, Paden, Ramsdale, Rhodes, Russell, Rube, Senger, Sterling, Martin, Murphy, Vanderpool, Whitaker, White, and Wriston. 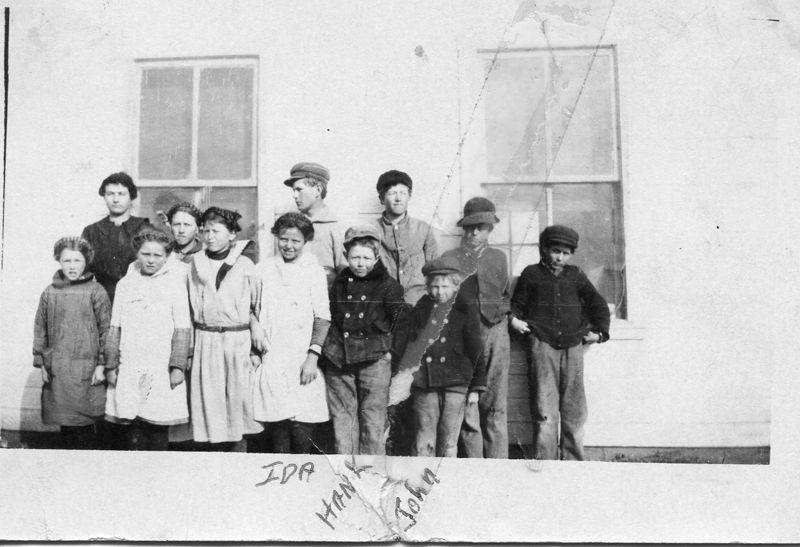 Lizzie Truhart was a teacher in the old sod building. 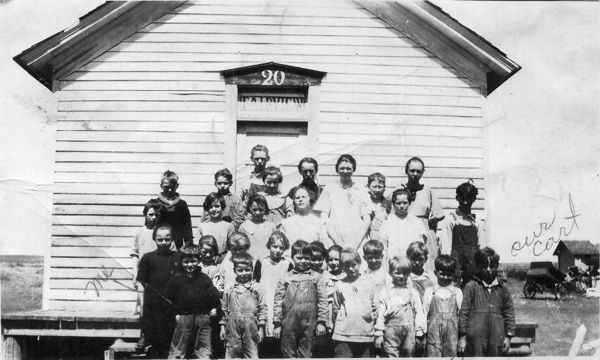 Maggie Kolb was believed to be the first teacher in the frame building, probably in 1889. Other names as collected (not complete) are: Maggie Martin, Mrs. Abbie Bodle, Eva Walter, Emily Painter Pinnick, Foy Danks, Mrs. Lucretia Bodle McCrellis, Ola Granger, Florence Sculley, Flo Watt, Clara Carrell, Clara Bromwell, Elsie Cope, Mrs. Harold Armstrong, Mrs. Louise Hallock, Gladys Moler, Adeline Boiler Gladys Stewart, Bessie Noble, Marion Overton Paden, Velma Gamble, Basil McBee, Jessie Davidson and Christina Cordes. 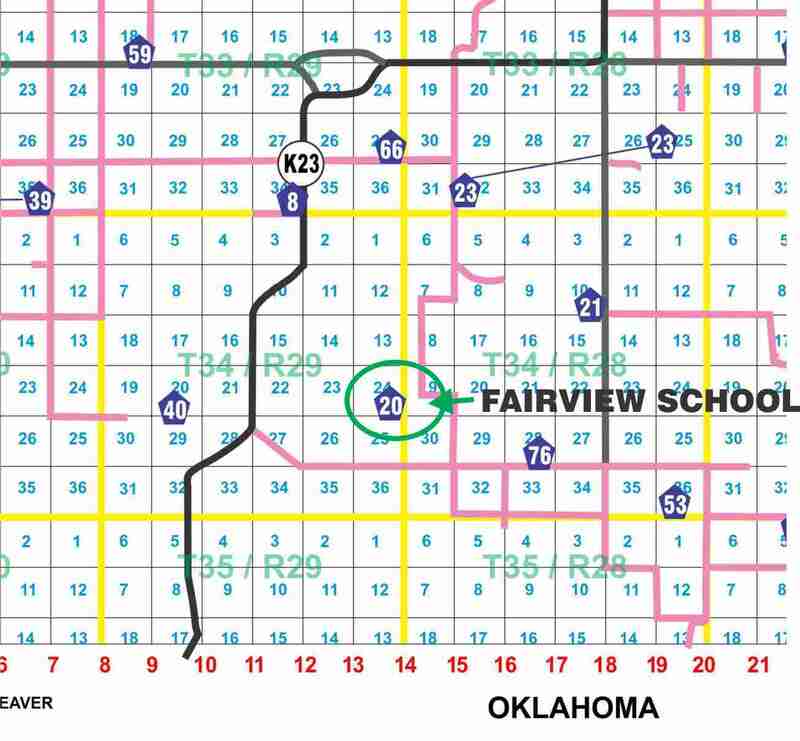 This modern-day map shows the location of the school as it relates to current roads, etc. This building was said to have been sold to a Kismet minister for $950 in June, 1946, before the school consolidated.